The Singapore (Raffles) Institution, Singapore. 1841. By J.A. Marsh. Published April 14, 2017 at 550 × 386 in The Singapore (Raffles) Institution, Singapore. 1841. By J.A. Marsh. 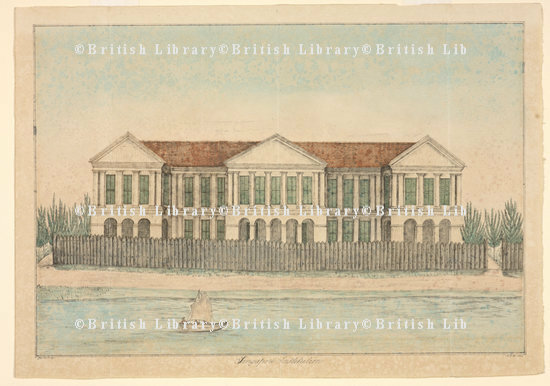 The earliest known drawing of the Singapore Institution which was founded at a meeting convened by Raffles on 1 April 1823 for the cultivation of Asian languages, the education of the sons of Malay rulers, and the moral and intellectual improvement of the peoples of Asia.,Pen-and-ink; watercolour.